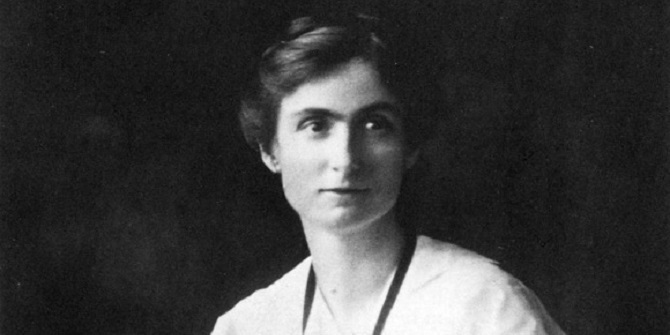 The first women achieved suffrage, the right to vote, in 1918. 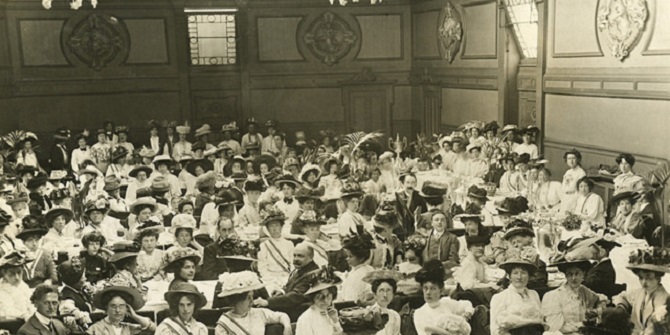 To celebrate the centenary, explore our selection of stories about suffragettes, suffragists, and the suffrage movement from its beginnings in 1866. 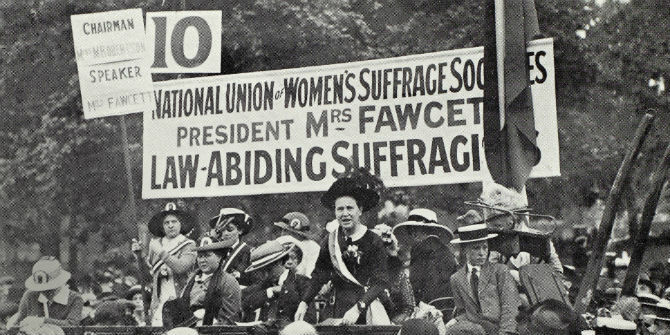 Visit Suffrage 18 at LSE Library for more information, a programme of events, and to find out how to use the collections for your own research. 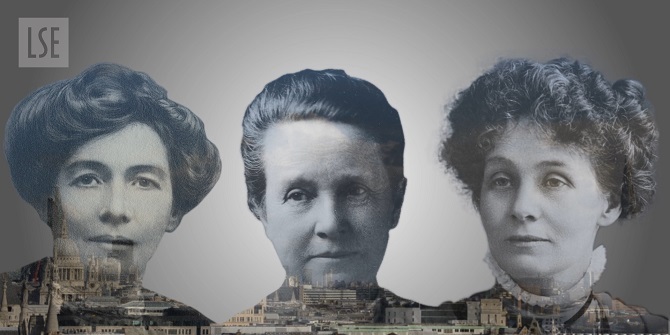 This International Women’s Day and Women’s History Month, watch a history of the women’s suffrage campaign and its legacy at LSE. 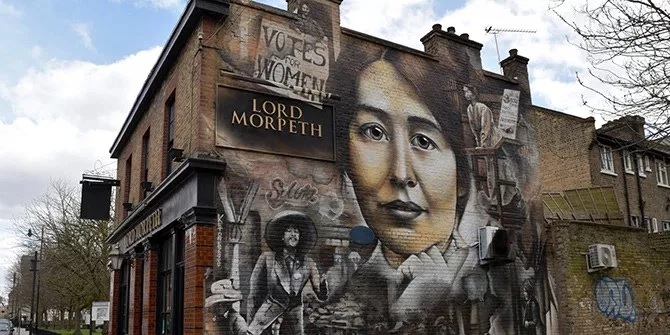 LSE’s Behailu Shiferaw Mihirete tells the story of Sylvia Pankhurst, daughter of prominent suffragette Emmeline, who became a relentless advocate for Ethiopia during the Fascist Italian invasion of 1936 to 1941. 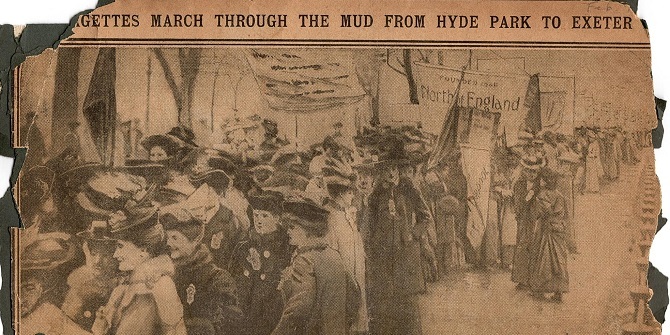 “Suffragettes at dinner – from gaol to the Savoy Hotel” was the headline from the Daily Mail about the banquet hosted by Millicent Garrett Fawcett held in the lavish surroundings of the Savoy Hotel for released suffragette prisoners on 11 December 1906. Curator Gillian Murphy outlines the LSE archives about this event. 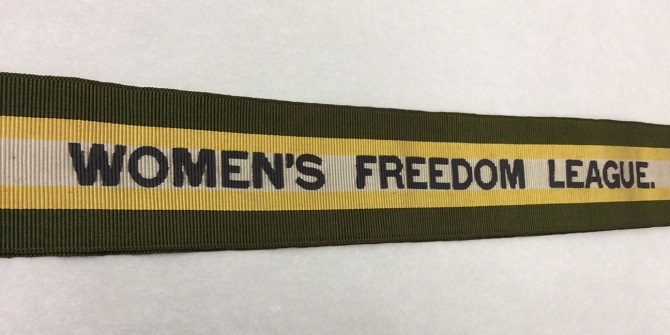 LSE Library holds the archives of the Women’s Freedom League, more early neighbours of LSE. 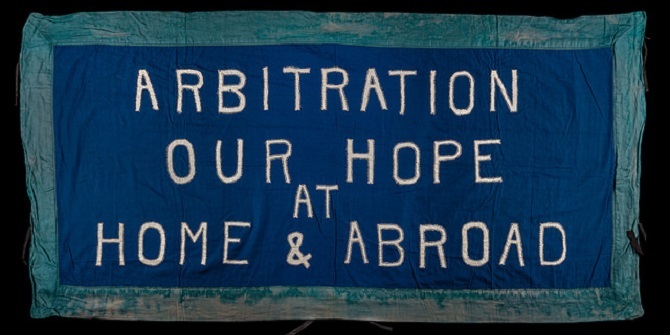 Curator Gillian Murphy introduces the League, who formed in response to what they viewed as “unconstitutional” actions by the Women’s Social and Political Union. 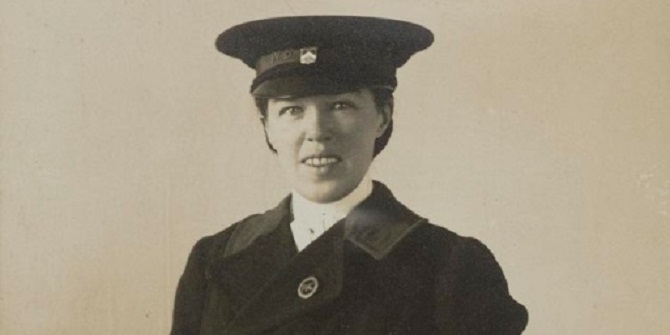 American Alice Paul became a “convert” to the suffragette cause after hearing a talk by Christabel Pankhurst. 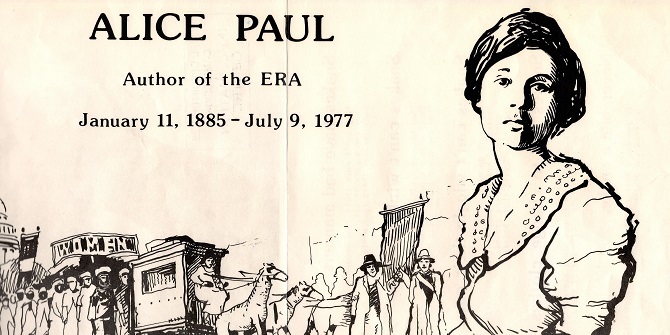 LSE curator Gillian Murphy charts Alice Paul’s suffragette activities in England and as a student at LSE. 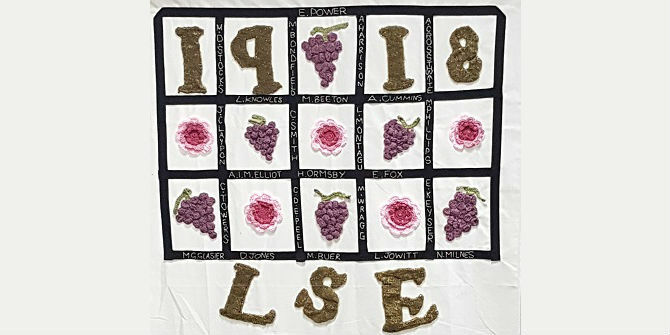 To mark International Women’s Day LSE’s knitting group designed and created a banner to honour the 24 women who taught at LSE in 1918 – the year women first received the vote. LSE Archivist, Sue Donnelly, explains the inspiration and history behind the design. 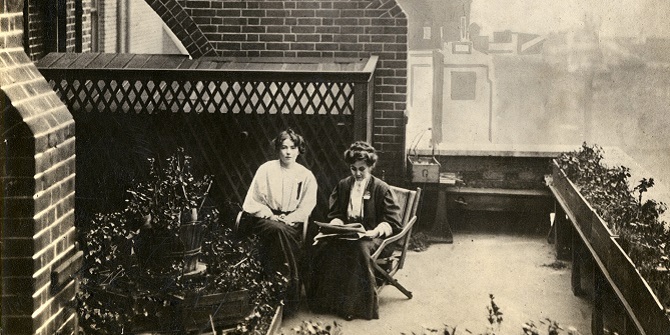 LSE Library receives many enquiries from people who want to find out more about members of their family who were involved in the suffrage movement. 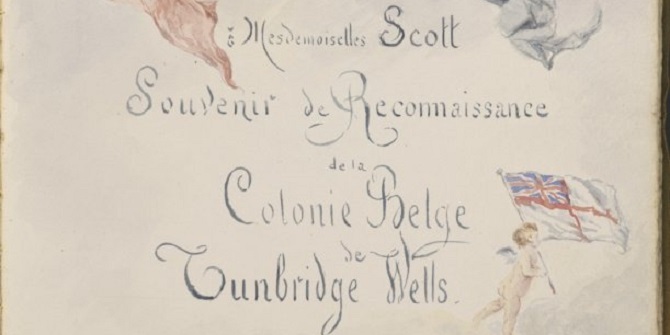 Gillian Murphy looks at some of the resources available at LSE Library which might reveal information about a long-lost relative. 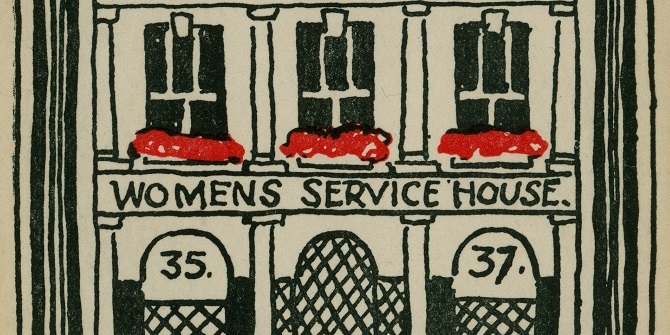 Professor David Stevenson, LSE Department of International History, provides a brief look at LSE during wartime and introduces LSE Library’s collections relating to the First World War. 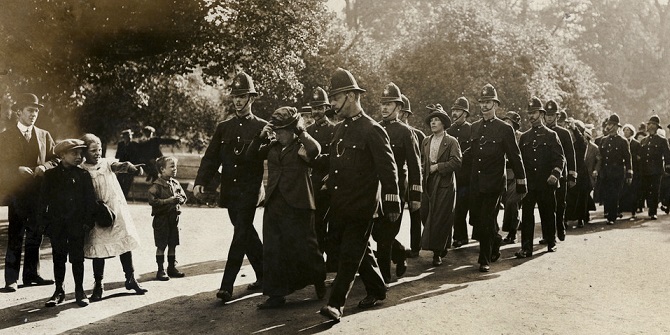 The archives include evidence from well-known suffragettes, the Scottish Women’s Hospital organisation’s work in Macedonia, and Belgian refugees in Tunbridge Wells. LSE’s Library, the British Library of Political and Economic Science, opened in November 1896. 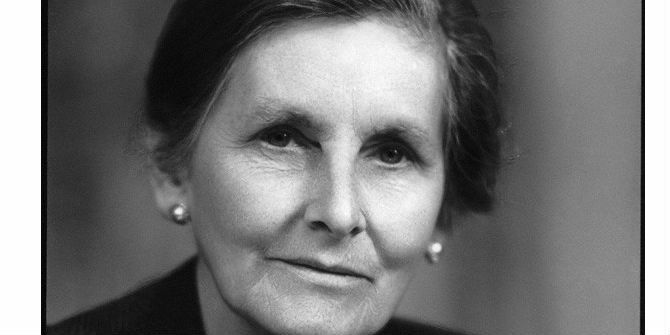 In a series of posts celebrating LSE Library’s 120th anniversary in 2016, Gillian Murphy tells the story of The Women’s Library at LSE, which is celebrating its 90th anniversary this year. LSE’s Library, the British Library of Political and Economic Science, opened in November 1896. 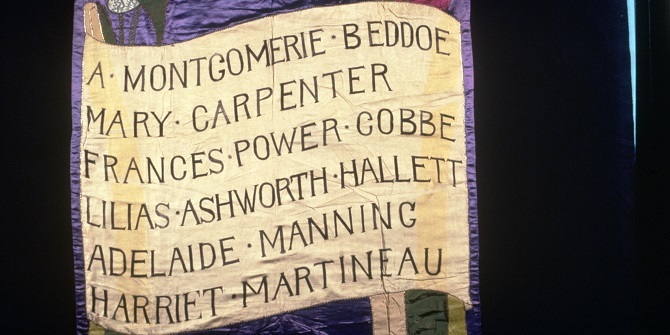 In a series of posts celebrating LSE Library’s 120th anniversary in 2016, Gillian Murphy explores the women behind the names on the suffrage banner inspired by the 1866 women’s suffrage petition. LSE’s Library, the British Library of Political and Economic Science, opened in November 1896. 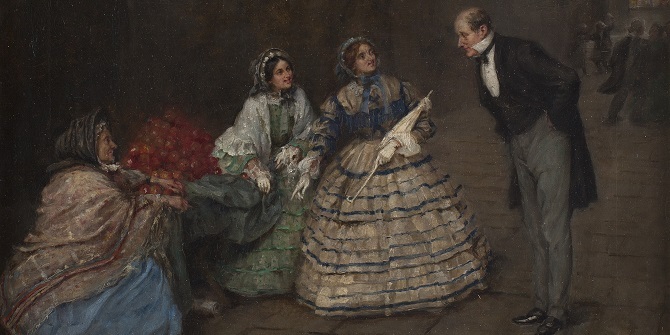 In a series of posts celebrating LSE Library’s 120th anniversary in 2016, Gillian Murphy explores the story behind the 1866 women’s suffrage petition. 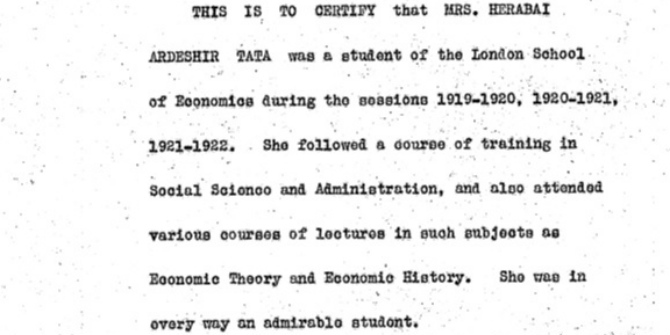 LSE’s Library series for LSE Women: making history highlights women’s stories in some of the archives and special collections held at LSE. 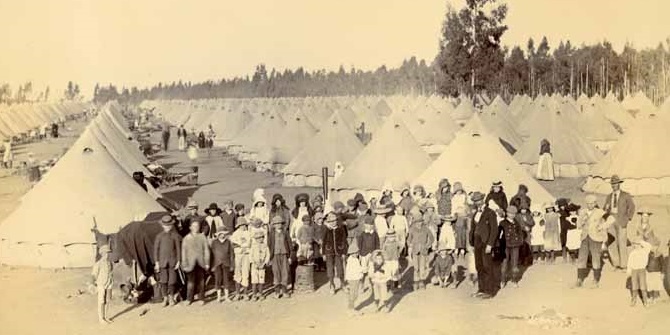 Gillian Murphy shares images of the Boer War from the archives of Millicent Garrett Fawcett and Lucy Deane. Posts about LSE’s Library explore the history of the Library and its collections.